I'm not a frappaccino drinker, I prefer a plain latte when I go to a coffee shop, and at home I make strong coffee and lighten it with half & half. In other words, no sweet coffee for me. 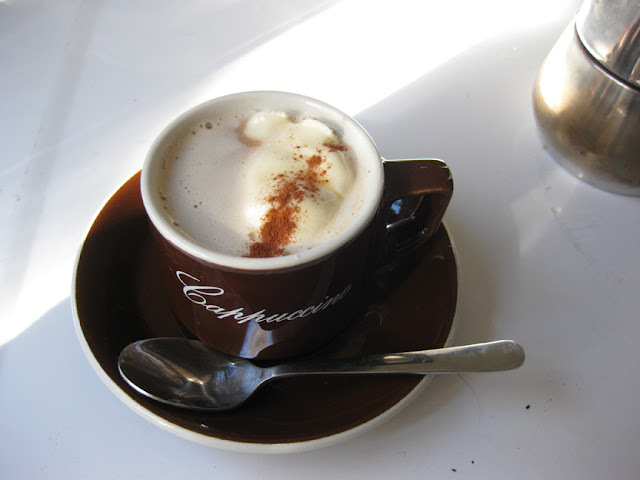 Except every once in a while, when an affogato really hits the spot. 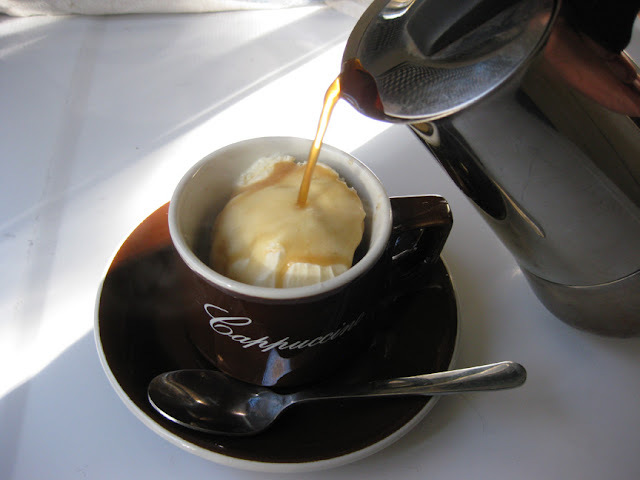 I don't think I'd ever had an affogato until I went to Italy, and I don't often see it on menus here in the southwest, but its the perfect treat. A scoop of ice cream with a shot of espresso poured over, combining after dinner coffee with dessert. Delicious.